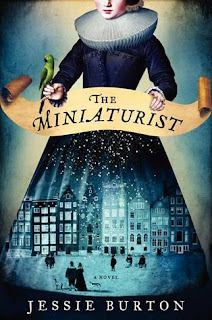 The Miniaturist by Jessie Burton got a lot of attention in the last year or so and rightfully so. There aren't many English novels written about Amsterdam in the seventeenth century. This is the story of young Nella Oortman, eighteen years old and from the country, brought to Amsterdam to be the wife of an older merchant. When she arrives, she is given a beautiful room and grand possessions but is immediately left alone in his home with his ill-tempered sister. While her husband continually delays his husbandly duties in favor of business, her attention is drawn by his wedding gift -- a cabinet replica of their home that she feels compelled to furnish. She looks through a directory of craftsmen and finds a listing for a miniaturist. So, while her husband is away on business, she starts building a new home that is uncannily like their own, but without the secrets. This was a slow-paced, rich story with unexpected facets to the characters. It ended in a somewhat vague manner but that is usual in the case of magical realism. It's a story of manners and culture and the constraints of civilization. However, I will say that there wasn't anything in the story that stayed with me much past the ending of the book. It left an overall satisfying feeling but, a month later, I had almost forgotten that I had read it. Still, Burton's writing was strong and I look forward to her second novel. I know what you mean about books that are enjoyable but mostly forgettable. I was just thinking that as I picked up another Barbara Pym novel to read. 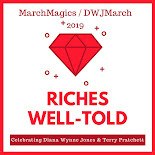 I really enjoy Pym and her gentle humor and writing, but I never really remember the plot of her books when I finish them - possibly because they have limited plots and mostly deal with characters. I do still really like her, though! I have a few authors like this too -- ones that I definitely want to read each of their books but I also know they won't make it to my list of favorites. It's a strange middle ground. I was basically going to say the same thing as Aarti. You get the feeling of having enjoyed it and one or two scenes but nothing more. I guess that's ok, right? We have right to feel that way as readers? It would be impossible for every book to be stellar. We couldn't fit all of those stories in our heads anyway!